The Banyan tree is a fig tree native to Asia and grows in India, Burma, Thailand, Southeast Asia, Southern China and Malaysia. The banyan tree is the national tree of India. It is considered to be sacred and worshiped as a holy tree in many parts of India, Malaysia, and Thailand. The name Banyan was drawn from the term banias meaning Indian traders. The banias used to rest in the shade of the banyan tree after a long day's work. The shade was also used by villagers to meet and discuss the affairs of their village. Buddhists consider the banyan tree to be sacred because Buddha is supposed to have sat under the banyan tree for seven days after he was enlightened. 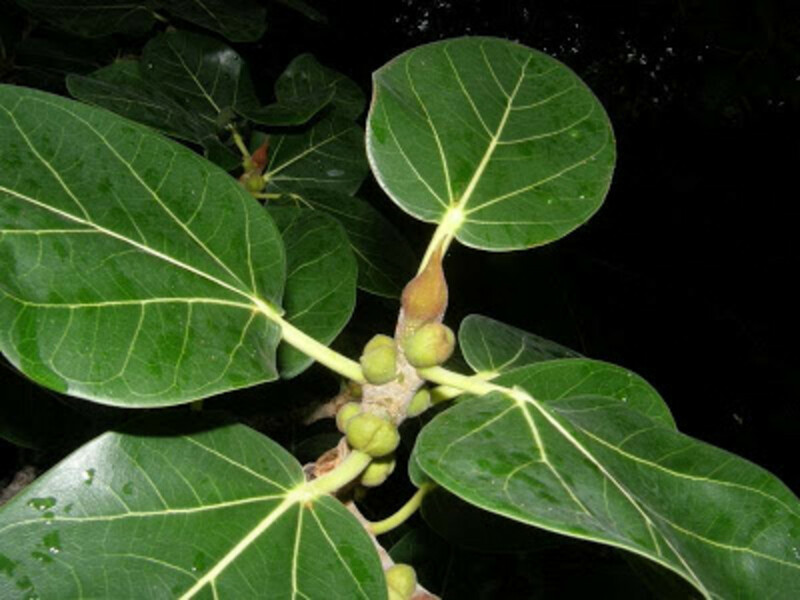 The genus Ficus has about 900 species of trees, shrubs, and vines commonly called figs. The Banyan tree grows well in regions that have a tropical climate. This article is about the banyan tree belonging to the Ficus genus and the species benghalensis. The banyan tree starts its growth as a plant that grows on another plant (epiphyte). This tree is also known as the strangler fig because it is capable of completely blanketing the host tree with its growth and cuts off sunlight and nutrients from reaching the host plant. Eventually, the host tree dies. The leaves of the banyan tree measure about 20 cm- 40 cm in length with reticulate venation. 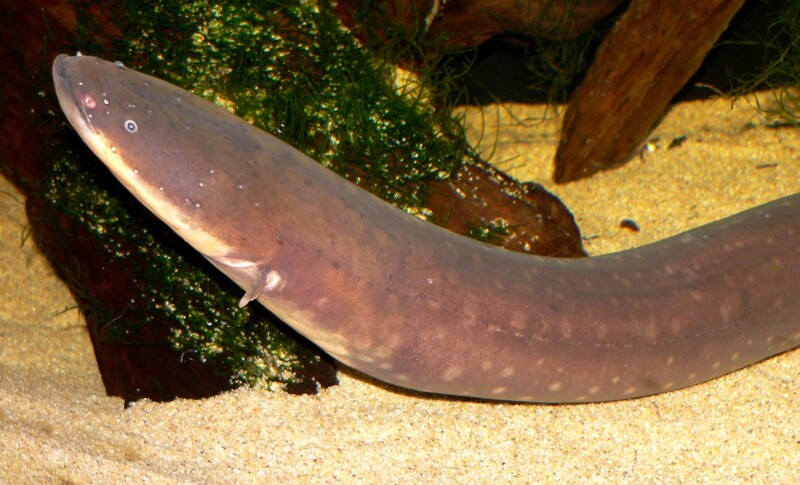 They are elliptical or ovate in shape and have a leathery texture. The leaf bud is enclosed in two large scales that fall off as the leaf grows. 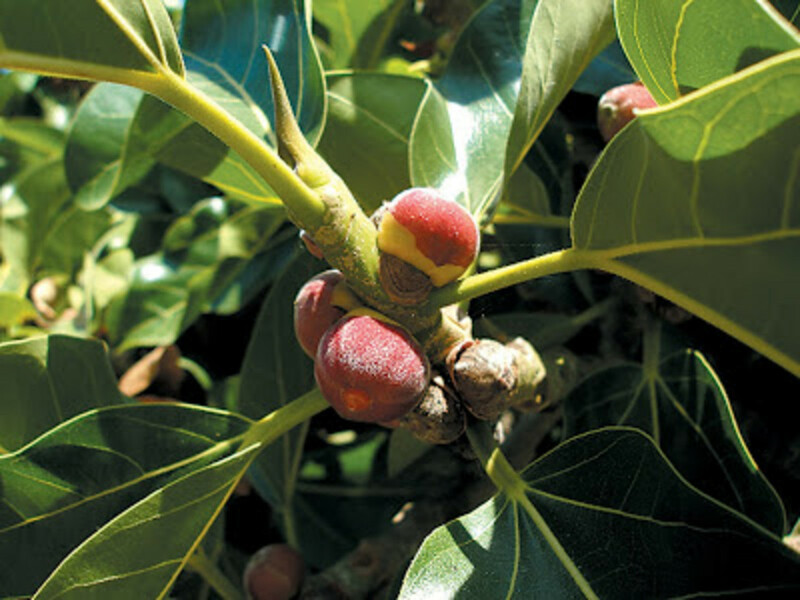 Ficus genus is characterized by a type of involuted inflorescence called Syconium. The Syconium is a fleshy receptacle that has about 50 – 7000 florets on the inner side. The number of florets depends on the species to which the banyan tree belongs. The Syconium seals off the florets from the outside leaving just a tiny opening at the base through which wasps can enter. The syconium can be monoecious or dioecious. 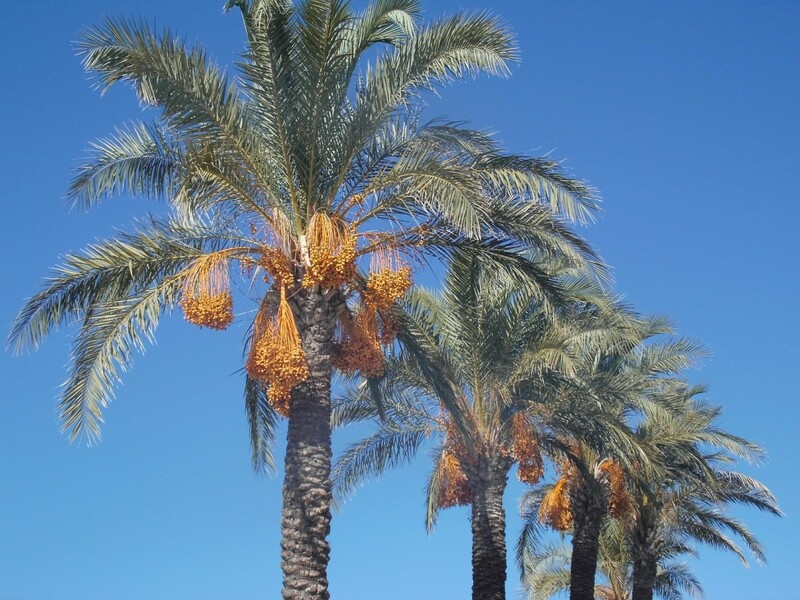 The monoecious syconium has both male and female florets on the same tree. A dioecious syconium has male florets and female florets on separate trees. The female florets are pollinated by tiny wasps (Eupristina masoni) that enter through a small opening at the base of the fig. Once pollinated the female flowers form tiny fruits that contain seeds. Pollination of this banyan tree is dependent solely on the wasp, Eupristina masoni. If the wasp becomes extinct, the banyan tree would also become extinct. This is an example of interdependence between species to flourish. The banyan tree begins its growth as an epiphyte. Seeds of the banyan tree are dispersed by birds. When a seed falls into a crack or a crevice on a tree, it germinates and starts growing on the tree. 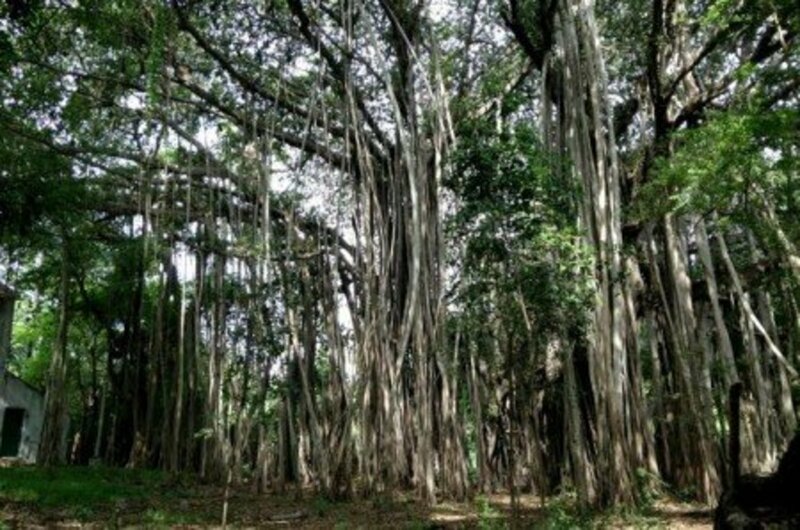 As the banyan tree grows it develops aerial roots from the horizontal branches that grow down towards the ground. When these roots reach the ground, they enter the ground and strike roots that penetrate deep into the soil. 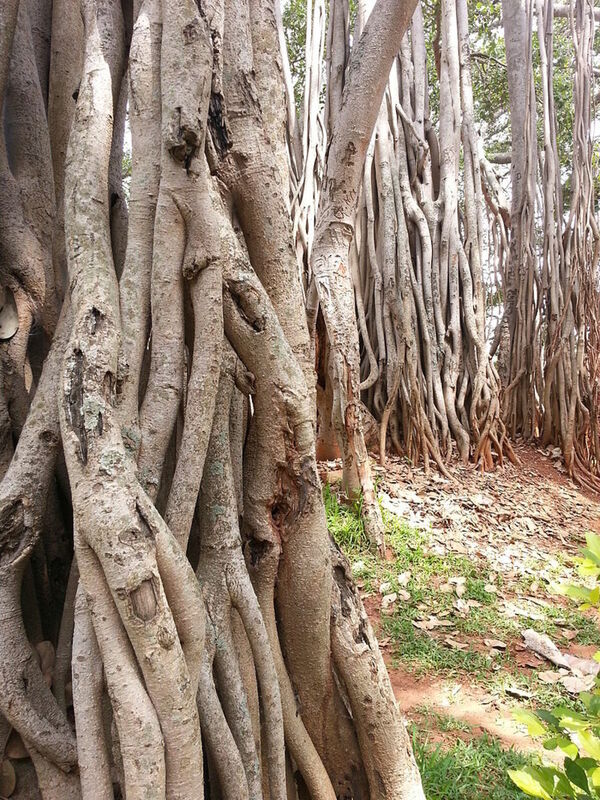 These roots support the massive horizontal trunks of the banyan tree and are called prop roots. The growth of the banyan tree can be extensive and cover large areas. 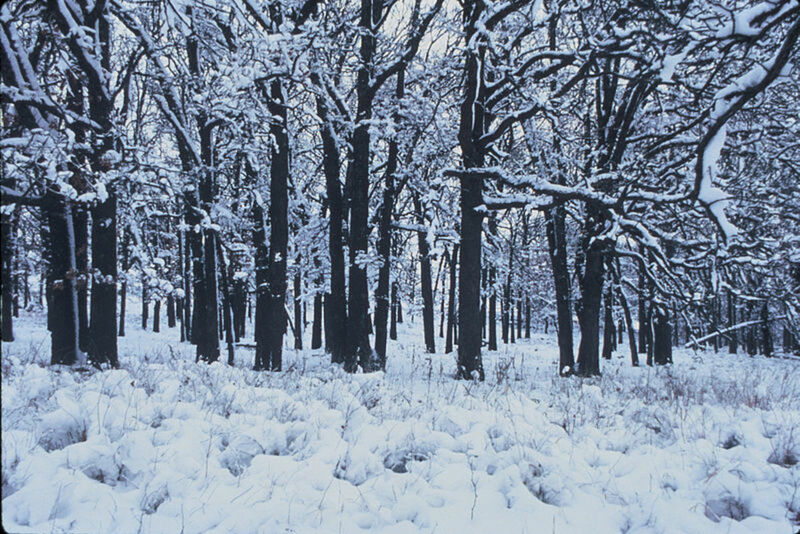 Due to its growth, the tree provides a vast expanse of shaded area. If the seeds of the banyan tree fall inside cracks and crevices of a building they can cause extensive damage to the walls when they start growing. 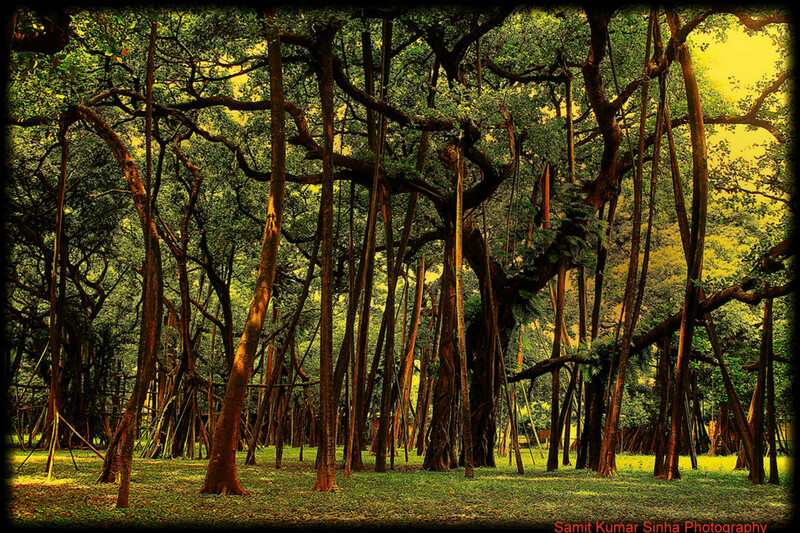 The Great Banyan Tree in Acharya Jagadish Chandra Bose Indian Botanical Garden of Howrah Kolkata is the largest Banyan tree in India and one of the biggest in the world. It is more than 250 years old and is spread over an area of 1.6 hectares with approximately 3618 prop roots. The fibers from the barks and roots are woven into ropes. Aerial roots are used as tent poles because of their strength and flexibility. The milky sap from the tree is used for polishing metal wares, and the wood is used to make paper pulp. 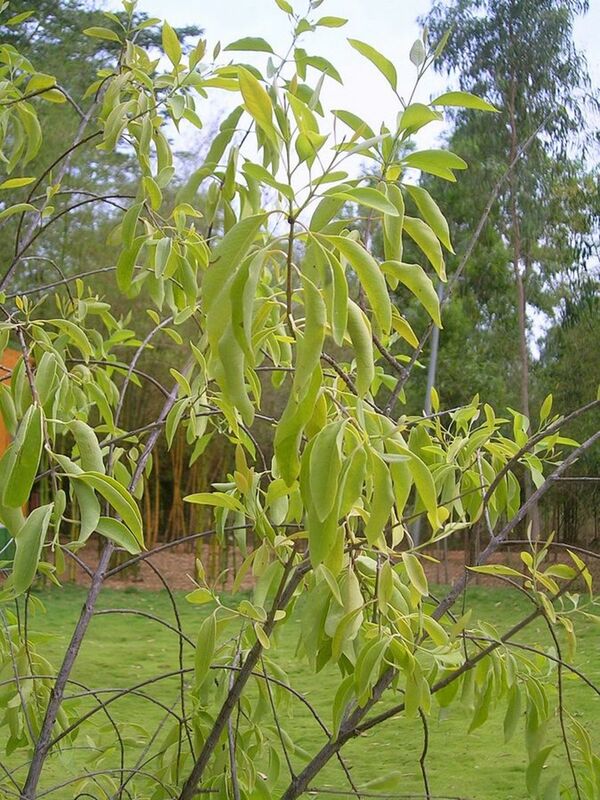 The milky sap is also used to treat bruises and inflammations on skin. Leaves of the Banyan tree are crushed to a paste and applied onto the skin to treat burns on the skin, itching, and inflammation of the skin. Twigs of aerial roots are used to brush the teeth as it keeps bad breath at bay and helps to treat gum inflammations. The extensive network of the root system has made the Banyan tree ideal for creating bonsai. Ano Au thank you for your visit. Amazing tree, have many in the Islands. Peg Cole thank you for your visit. The Banyan tree has an aura of mystery and sure is beautiful. This tree is both mysterious and useful as well as beautiful. Thank you for sharing the history and importance of this lovely tree. There was a beautiful Banyan tree in my neighbor's yard in the Florida Keys. I'm not sure it was the same as this one, but it had many roots and was enormous. Peggy W thank you for your visit and comment. Hawaii is a wonderful place to be. We have viewed banyan trees in Hawaii and also in Florida. They are amazing! Hi Docmo thank you, great to see you are back here on HubPages. Dubai is great in January the weather is tolerable. In June, July, August the weather is unbearable here. Hi Nithya, Hope you are well. Great article about Banyans. I do remember them fondly there was a massive Banyan in my schoolyard in chennai. BTW I was in Dubai tutoring a course in September and am back again teaching there in January. Loved the city. Nell Rose, thank you. Nature has many surprises and this is one of them. FlourishAnyway thank you and yes it is unfortunate that this tree kills the host that nurtured it in the very beginning. Very interesting and beautiful tree. It's unfortunate that the way it begins is to strangle the life out of its host. Hi, I have heard of other trees growing or starting on other trees, but didn't realise that this was one of them. How fascinating! 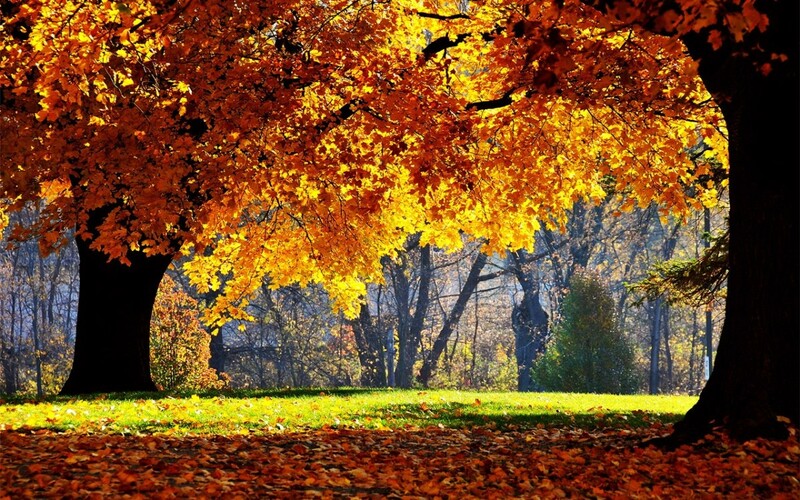 I love reading about trees, and how amazing they are, wonderful! Alicia C thank you and am glad you enjoyed reading about this tree. This is an interesting and informative article. I enjoyed reading it. I love learning about plants. Jackie Lynnley, thank you. The banyan tree is one of nature's unique creation. DDE thank you for your comment and appreciation. always exploring thank you. Pollination of the banyan tree by wasps and no other birds or insects shows the level of interdependence between insects and plants. ChitrangadaSharan thank you and am glad this article provided more details about the banyan tree. MsDora thank you and am happy you got to know more about this tree through this article. Learned plenty from this botany lesson. Facts like 900 species, a 250 year old banyan and its association with Buddha make this very interesting. Thanks. Very interesting and informative hub about Banyan tree. It is around everywhere here and we all know about its importance. You have done a wonderful job by writing so many other details about this important tree. Thanks for sharing this well presented hub! This was an amazing read. I knew absolutely nothing about the banyan tree. What I found most interesting was the wasps pollination, it's another perfect example of how everything that grows depends on another species for survival. The pictures were beautiful too. Hi Vellur, a unique and interesting hub about such lovely trees. You explained in detail and I learned the facts from you. The photos are stunning! 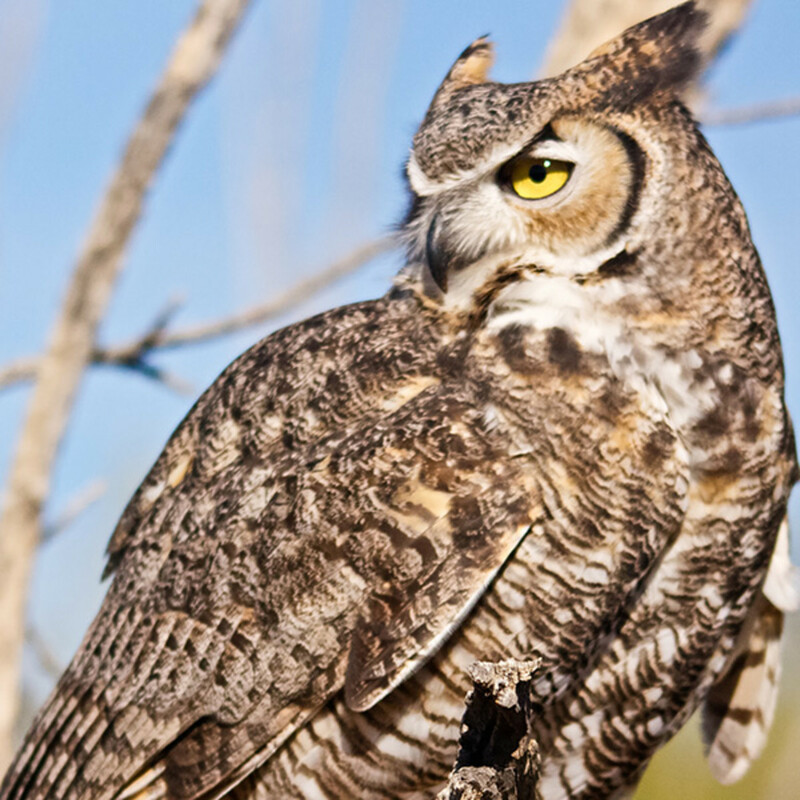 Great photos and interesting info about another beauty of nature Nithya! whounwho thank you for your visit and comment. Jodah it must have been a wonderful experience sitting under the banyan tree. There are many stories and poems about the banyan tree. DreamerMeg the fruits of this tree is not toxic, but they do not taste very good. billybuc am glad this article was of use to know more about the banyan tree. I think the first time I heard of a banyan tree was in the book Siddhartha. I looked it up after reading that book to learn more about it . . . and now you're increased my education, and for that I thank you. 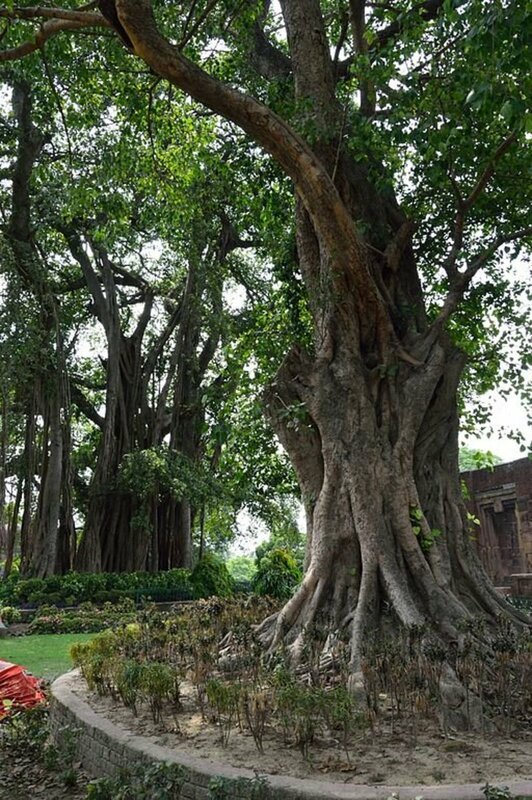 I had heard of the Banyan tree and the strangler fig but had not realised they were the same plant. Great hub. Enjoyed David Attenborough in the video. Just as a point of interest, are the Banyan fruits edible? I found this extremely interesting, Vellur. Ficus are one of the most amazing types of trees, especially the Banyan or strangler fig. I remember sitting in a picnic area beneath some in one of our Botanical Gardens near where I used to live. My mother also used to sing a song about monkeys in a banyan tree...though I can barely remember the actual song now. Well done. Thank you for sharing.